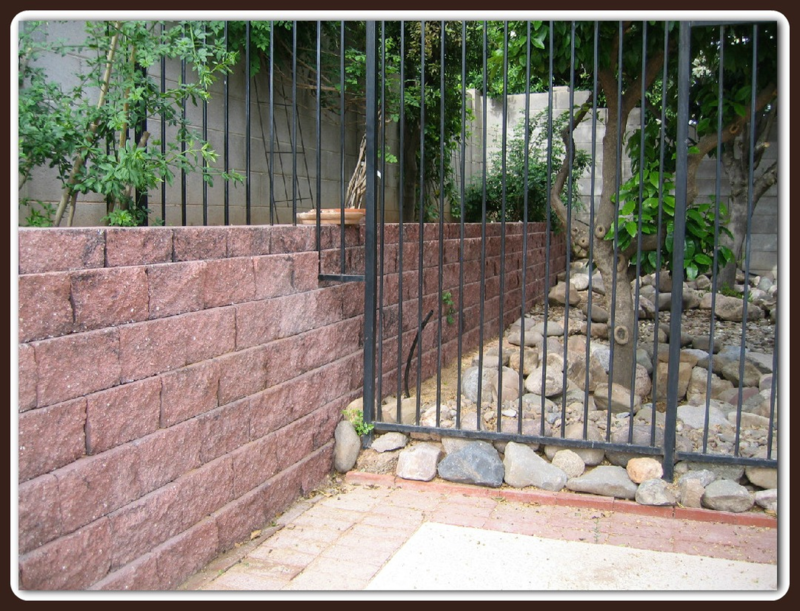 Throughout the life of Old Pueblo Masonry, we have been asked many questions about the process of your project. Below are some of the issues addressed. Blue Stake: We are required by law to have Arizona Blue Stakes out to your property to mark all public utilities BEFORE any dig can be done. This usually takes place about 1 week before job start. Access is necessary, and pets need to be restrained. Marks are only good for 15 business days. Job Start: We schedule the excavator and try to inform you of your job start. Someone COULD be at your property as early as 6:30 AM on the day of your dig to mark where your wall will be placed. Don't forget, sometimes rain or personnel issues will delay us a day or two. Caps: At the time of your appointment presentation we discuss many different options with you. One of them is what type of cap. We have many which include 11 score, CMU, slump, brick, coped (rounded). Sizes vary depending on the type of wall we are constructing for you. Please be advised that caps are part of the wall, and are NOT an extra charge. Wall Process: It COULD be a few days in between the dig and the actual start of your job. We send a crew out to place steel rods, and make sure the trench meets specifications. If your job needed a permit, we need to call the City or County for an inspection, and cannot proceed until they see it. Once the project is approved, your concrete pour is scheduled, but again, may also be a few days delay due to the concrete company's schedule. After your concrete pour, depending where the masons are in their work load, we will build your block wall. Once your wall is up, we will be in touch for another payment. Stucco: This process needs to wait approximately 1 week after your wall is completed to make sure all mortar is dry. Stucco is done with (2) coats. The brown coat, followed by the finish coat. Finish is Grey, and can be painted. Stucco needs to cure for a "cool down" period for about 10 days. This can be done by lightly spraying the wall with water for a few days. Paint: This process will take place approximately 2 weeks after stucco is finished to make sure all is dry. Our painter uses a prime coat and then the color coat. We ask that you provide the color sample or name & manufacturer to help this process. Gates: We have a supplier that does our gates. Someone will be in touch with you to work out the particulars of your needs. They will let you know how long their process will take. We offer gates is wood, composite wood, or wrought iron. All gates have a metal frame, and all wrought iron is painted black unless specified. Clean up: You must provide an area to allow us to mix mortar. This will be cleaned up to the best of our ability at job close. We have a separate crew to come by and haul away all the debris we left. IF we provided temporary fencing, then it will be removed when your gates are installed. We are not landscapers, and therefore, at the end of your job, we cannot take care of the dirt left by the excavation, (unless contracted for). Clean up is done to the best of our ability, but it will not be put back to a pristine state as if we were never there. Flagstone: At this time, we are not doing flagstone installs. 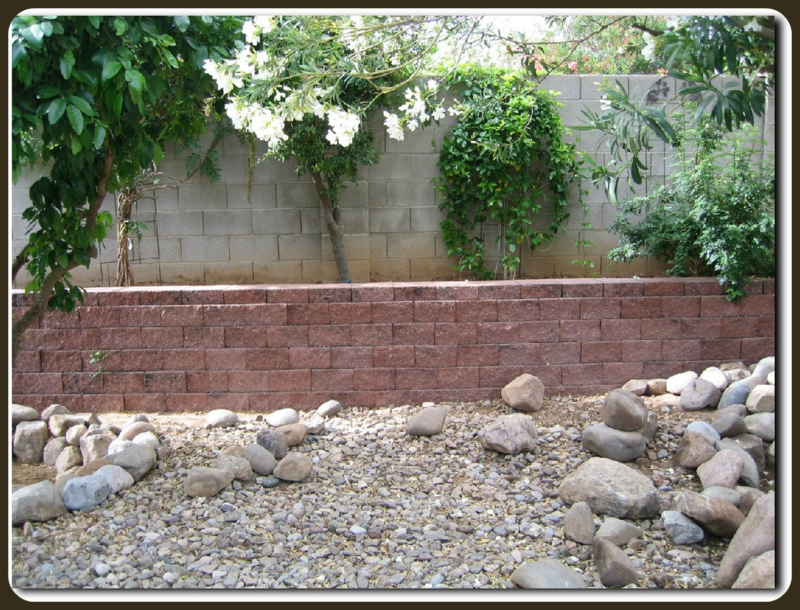 Drainage: Old Pueblo Masonry will install drain blocks at the direction of the homeowner. If you have certain areas that you know how the water flows, please be sure to discuss this with the office, or at the time of your appointment. We can cover them with wire for an additional charge. 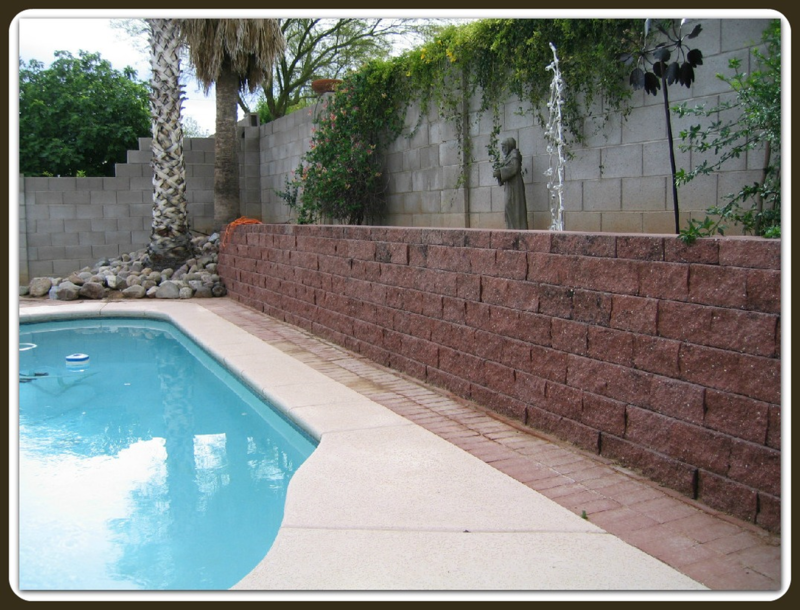 THANK YOU FOR CHOOSING OLD PUEBLO MASONRY TO BUILD YOUR BLOCK WALL, OR THE PROJECT OF YOUR DREAMS!